H&H Homes offers home buyers beautiful homes in the picturesque pool community of Massey Preserve South! This community is uniquely positioned for convenient commutes to downtown Raleigh, RDU Airport, Rolesville High School, Triangle Town Center, Adventure Landing, Marbles Kids Museum, and so much more! H&H Homes provide eight different home plans including ranch style and two-story homes and providing accommodating options for families of all sizes and walks of life. All H&H homes feature stainless steel appliances, granite counter-tops, coffered and trey ceilings in addition to our supreme standards for energy efficiency and quality craftsmanship. Come home to Massey Preserve in Raleigh. 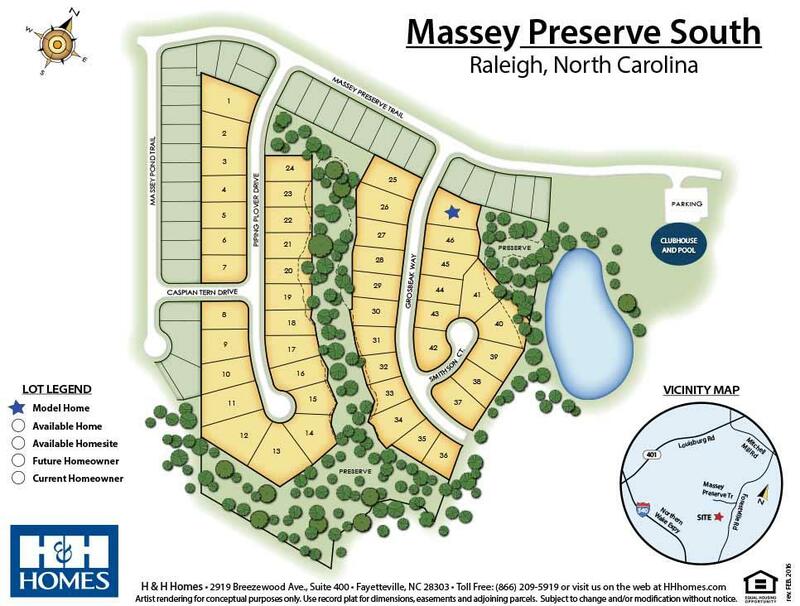 Find Your New Home Site in Massey Preserve! 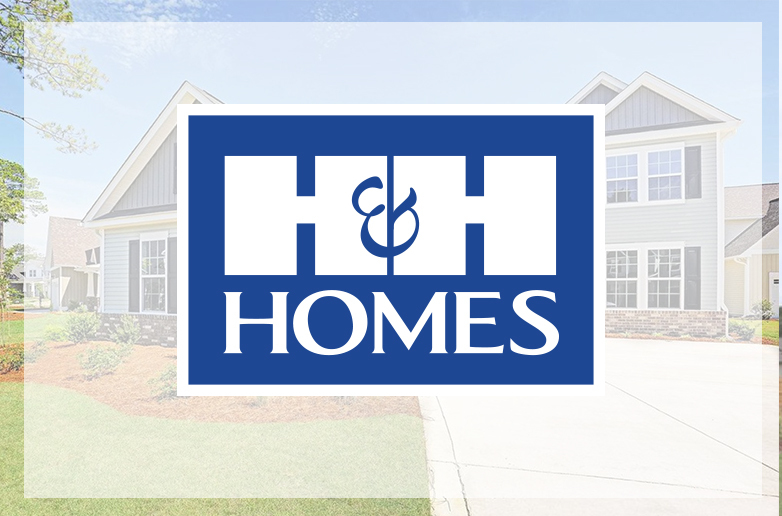 Welcome to H&H Homes, one of the largest builders of new homes for sale in North and South Carolina. With our prime locations, you’ll find the perfect new home at an incredible value. We are passionate about building new houses that are high- quality, energy- efficient, and inexpensive to maintain. We build new homes in Fayetteville, Jacksonville, Goldsboro, Raleigh, Pinehurst, Sunset Beach, Wilmington, Charlotte,and Brunswick Beaches , NC and Charleston and Myrtle Beach, SC. Higher standards, superior construction, and energy efficient sustainable homes. Reach higher, with H&H Homes. Contact us for a tour. We look forward to meeting you. From Raleigh I-540 East, Exit 20 Buffalo Rd. Left on Buffalo, Left Forestville Rd. Left into Massey Preserve. Take First Left after the Community Pool. From Raleigh 401 North, Right on Forestville Rd. Right into Massey Preserve.